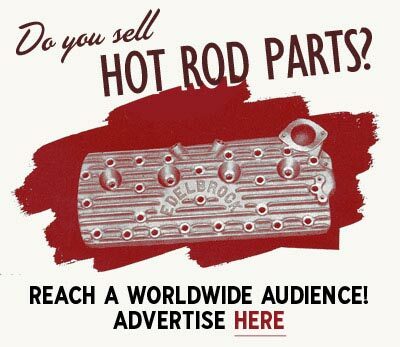 The 11th annual Coupe Devils Rod & Kustom Bonanza will be held June 14-16, 2019 at Bruvollen in Blaker, Norway. The poster for the 2016 Coupe Devils Rod & Kustom Bonanza. A photo from the 2014 Coupe Devils Rod & Kustom Bonanza. Click here for more photos from the show. Coupe Devils Rod & Kustom Bonanza is a traditional hot rod & kustom car show hosted by the Coupe Devils Car Club of Norway. 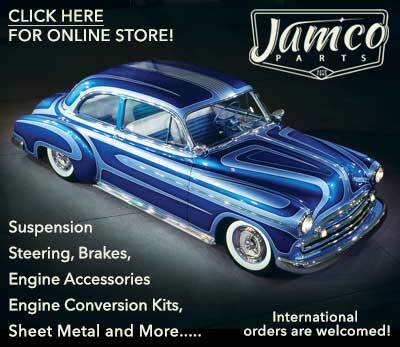 The show is ONLY open for Traditional Hot Rods and Kustoms pre '65, Ol' skool bikes, and classic american cars pre '55. NO BILLET!! All others park outside. The first show was held may 23rd, 2009 at Bruvollen in Blaker, Norway. The turnout was great for such a newcomer in the Norwegian woods, and after cleaning up all the mess on Sunday, the dates for next years show was set. The 8th annual Coupe Devils Rod & Kustom Bonanza was held June 24-26, 2016 at Bruvollen in Blaker, Norway. The 7th annual Coupe Devils Rod & Kustom Bonanza was held May 22-24, 2015 at Bruvollen in Blaker, Norway. The 6th annual Coupe Devils Rod & Kustom Bonanza was held June 27 - 29, 2014 at Bruvollen in Blaker, Norway. Even though the weather could have been better, the quality on the cars attending the show this year was higher than ever. Since the first show was held back in 2009, the Coupe Devils have been trying to run a strict rule only allowing cars with bias-ply tires into their show, and this year 99% of all of the cars that attended filled this requirement. For the first time, there were also more custom cars then hot rods at the show, a very positive trend according to the club. Friday night on the Bonanza is meant as a laid back mingle night where the club members also acts as DJ's, while the Saturday includes live bands on stage. First out was a local psychobilly-band named the Dead Beat. After the Dead Beat had warmed up the audience, the Koffin Kats, who hauls all the way from Detroit got the audience jumping. The fifth annual Coupe Devils Rod & Kustom Bonanza was held July 12 - 14, 2013 at Bruvollen in Blaker, Norway. The fourth annual Coupe Devils Rod & Kustom Bonanza was held May 18 - 19, 2012 at Bruvollen in Blaker, Norway. The third annual Coupe Devils Rod & Kustom Bonanza was held May 20 - 22, 2011 at Bruvollen in Blaker, Norway. The second annual Coupe Devils Rod & Kustom Bonanza was held May 21 - 23, 2010 at Bruvollen in Blaker, Norway. The gate opened on friday, and while cars from Norway, Denmark and Sweden were rolling in to the area, local DJ's played greasy tunes all night long. The main attraction on Saturday was the legendary Jack Baymoore & the Bandits from Sweden. Our local heroes the Mobsmen and the Torqueflite were also playing on Saturday night. As last year, the Fleshoticas were also performing their magic as the dark was coming down. The 2nd annual Coupe Devils Rod & Kustom Bonanza attracted about twice as many cars and people as last years event. 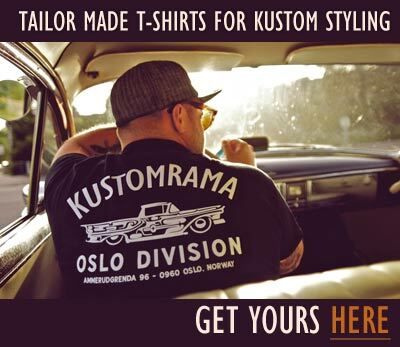 The first Rod & Kustom Bonanza was May 23th, 2009 at Bruvollen in Blaker, Norway. Since it was the first show organized, the Coupe Devils decided to only held a one day event. During the evening the Moonstompers and Los Plantronics performed live at the stage, while the Fleshoticas gave a great burlesque performance. 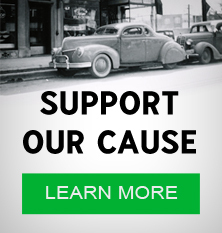 Subscribe to our newsletter and receive updates on Coupe Devils Rod & Kustom Bonanza and other subjects featured on Kustomrama. If you have additional information, photos, feedback or corrections about Coupe Devils Rod & Kustom Bonanza, please get in touch with Kustomrama at: mail@kustomrama.com.